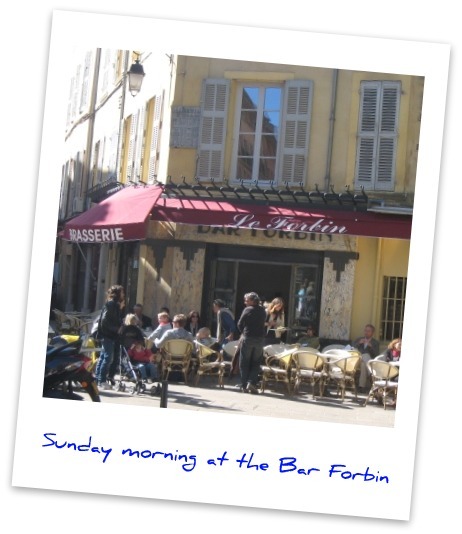 The Bar Forbin reopened this week at the corner of rue Italie and Cours Mirabeau. A lovely renovation has transformed this once faded beauty into favored destination for late afternoon drinks in Aix-en-Provence for my son Jess and me. To see the cafe bar restored, after having sat derelict, graffitied and trash strewn for the past 3 years, was immensely gratifying. It also left me with a tinge of disappointment. Well, someone with more cahones than me saw the same potential and acted on it. The Forbin has been outfitted with a new bar, beautifully retiled floor, freshly painted walls, modern recessed lights, refurbished sliding iron and glass doors, burgundy awnings, and all new outdoor furniture for the deck chairs and tables. Gorgeous, dammit! I’m a rich talker and a poor doer. My only solace is the company I keep; many of us suffer from the daydreamers’ affliction. I have written in earlier blogs – #5 (The Upside of Hard Times) in particular – about finding one’s Mission and designing a Passion Plan to achieve it. This technique helps me resolve (perhaps a better phrase is “avoid again”) the frustration I feel over too many missed opportunities. Perhaps my luck with the bar would have turned out better had I sketched out a plan and connected more quickly with the right people in Aix (rather than fantasizing with friends in San Francisco). The greater the things we try to achieve, the more challenging it is to achieve them alone. 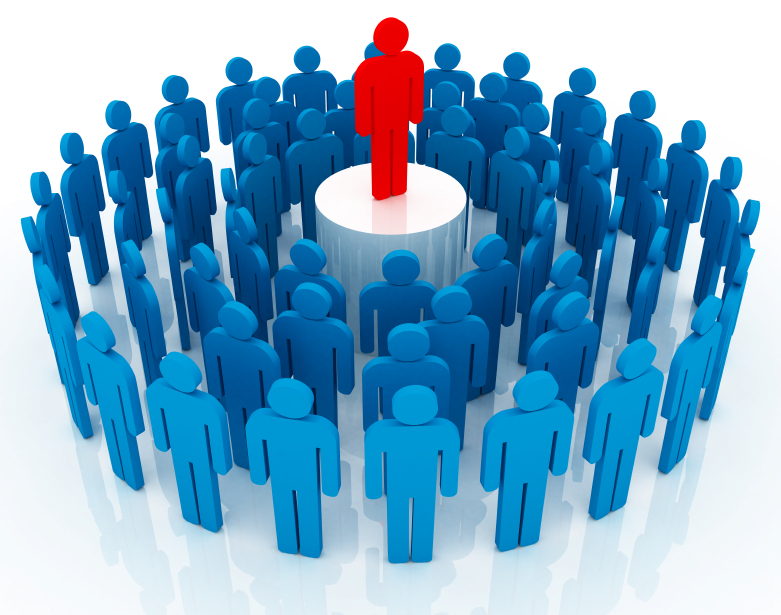 Tapping into the knowledge, experience and connections of our contacts (and their contacts, and their contacts-of-contacts) expands what is possible and turbocharges the pace at which we move forward. Just as unexpected were the outcomes of personal gatherings recently. A fellow student in my weekly French class turns out to be a top selling author and serial entrepreneur; another great speaker for my classes. On the flip side, my friend and a budding entrepreneur Kate turns out to be a certified life coach, with a rolodex of great contacts for me in the coaching world around Europe. This I learn over lunch last Tuesday to discuss her latest start-up idea, neither of us aware of the common interest in positive psychology. Evidence again that the value of our networks is manifested most often in ways we don’t expect or remotely anticipate. We benefit not only from a larger network, but one that cuts across a multiverse of personal interests and professional pursuits. Too often we stagnate with age, particularly at midlife as we approach the end of Phase 1, our core careers. Why continue to put ourselves into new and often uncomfortable situations, thrown in with strange people, if our small circle of friends will suffice for relaxing afternoons on the links? Well, if afternoons on the links are all you seek, then bore yourself, in both senses of the word, into your tiny 18th hole on earth and atrophy away. If you want Phase 2, your encore career, to reflect more than a lower handicap, then reinvention and the expansion of your social and professional webs into new dimensions is crucial. A final thought. The word “network” has always sounded impersonal and detached to me, as if its members, the “contacts,” existed solely for harvesting and exploitation. While I preach the value of working one’s network to death to my students, I’ve always struggled to separate business contacts from friends, and it’s hard to say how this has impacted my career over the many years. I seek out pleasant people and don’t pursue connections with difficult Type As, even when the value in doing so is unquestionable. If you want to work me to your own profitable ends, by all means call. But I’ll likely be as curious about your family and hobbies as your business, and we may indeed end up with cocktails if it’s late afternoon. The Bar Forbin perhaps? Well-articulated, Bill. The curtain call, the encore, the reprise … shows prowess, compassion, discipline, and self confidence. What’s a fitting CC in your mind? A Doobies concert followed by CHINA ROAD? An Eagles concert followed by HOTEL CALIFORNIA? Helfgott following up with RACH’s THIRD? Things of beauty followed by things of inspiration, instead of “leaving them wanting more,” you leave them fulfilled.